Are you interested in knowing about different herbs, ayurvedic remedies, herbal supplements, yoga and natural treatment? 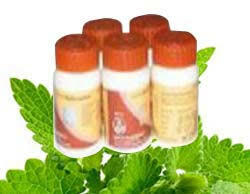 This website will help you to gather all the information about natural herbs and related topics. 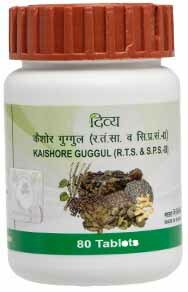 swamibabaramdevmedicines.com is not responsible and does not claim anything for the content given on the website. By using the products given on this website, you agree the terms and conditions given below. If you are ready to visit this website, you should agree to the terms and conditions first. Go through all the terms and conditions before you sign in to go through this website. If you will not agree to the terms and conditions, it is not possible for you to go through this website. The terms and conditions may be revised on a regular basis. You can review the terms and conditions on a regular basis so that you can see the changes easily. Chandigarh informatics provides advice concerned to the health problems. You can get any information related to your health. But, we never challenge any medical advice given by your personal doctor or medical health practitioner. It is not a computer based program or data interpretation by using any software. We do not offer any warranty or guarantee related to your health or the content and services offered by the website. We are committed to provide you the latest information related to health. However, we do not claim that the information given here is the most recent. You are advised to consult your physician if you have any further questions concerning your health problems. Make any changes in your diet or lifestyle after getting an expert advice from your general physician. The content given on the website and the services provided all belong to us. You can download the material only if it is available for the public to download. You cannot make any changes, or use the content given on this website for any personal use. You can use the content, images or photos without prior permission from our team. If you fail to keep this in your notice and use any content, images or print outs with taking prior permission it will be a clear violation and it is strictly prohibited. Violators to this law will be prosecuted. Any member of its team is not liable to any claims. We do not guarantee or warrant that the use of this website will be error free and it has been clearly mentioned that any content can be removed from this website for any period of time without giving any notice to any individual or agency. We have the sole right to update the terms and conditions from time to time without any interference from any third party. You are bound to follow the revised terms and conditions and therefore, you are requested to visit the page to review the terms and conditions on a regular basis. We do not claim that the content or services are right to download or to be followed. Access to the content is denied for certain people and in some countries. If you visit this website and go through the content and services, you do the same at your own risk and agree to the laws of your region or state. The provisions given here are valid till the expiration or termination of these terms and conditions.